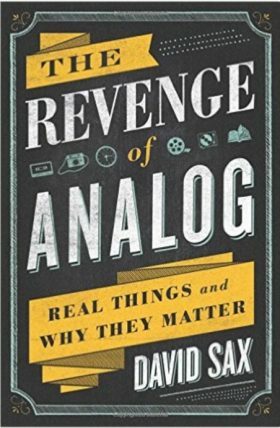 I was fortunate enough to hear David Sax speak at the Kansas City Public Library about his new book, The Revenge of Analog: Real Things and Why They Matter. In it he shares how tangible things have experienced a resurgence of popularity. When the digital book reader became popular, people proclaimed the end of the book, yet physical book sales are up significantly in the last few years. When experts claimed retail was dead, Amazon started opening physical book stores and Apple earns more revenue per square foot in retail than any other company on the planet. Get this book and think of new ways you can delight and surprise your patients, employees, referring colleagues and community leaders through communicating in ways almost forgotten yet thoroughly effective in building real relationships.